Highly trained Nurse with strong clinical abilities and a successful career in both Acute care settings and teaching facilities. Proactive and organized with passionate commitment to first-rate patient care. Licensed in California with expertise in Neonatal Intensive Care. Manage care of 3-4 patient assignment. Experience in all care of Level III patients. Provide scheduling for staff requirements and floor assignments. Hospital Instructor for Neonatal Resuscitation. Assist in transition and training of staff for Level III nursery. Educate patient families on procedures, health care needs, conditions, and options. Attends newborn and high-risk deliveries and manage high acuity premature infants. Knowledge of computers for charting and taking orders. Develop educational materials and programs for community agencies. Maintain education requirements for nurses in NICU, Pediatrics and Labor and Delivery. Coordinate inservices on new medical equipment and nursing procedures. Managed care of wounded warriors on various aircraft. Deployed to Afghanistan in 2010. Medical crew director- in charge of 5 man crew to coordinate care of patient placement and use of medical supplies. Prepare and deliver lectures to undergraduate students on topics such as Pediatrics, Maternal/Child care, fundamentals, and community health care practices. Commissioned Officer Nurse Corp - Lieutenant. 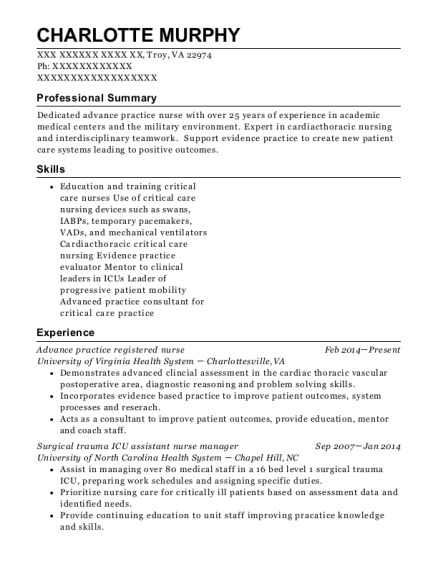 Medical-Surgical care duties as an Air Force Nurse. Stationed in Okinawa, Japan in Level III Nicu. Transport nurse for critically ill patients. Flights to Guam, Japan, China and Hawaii. 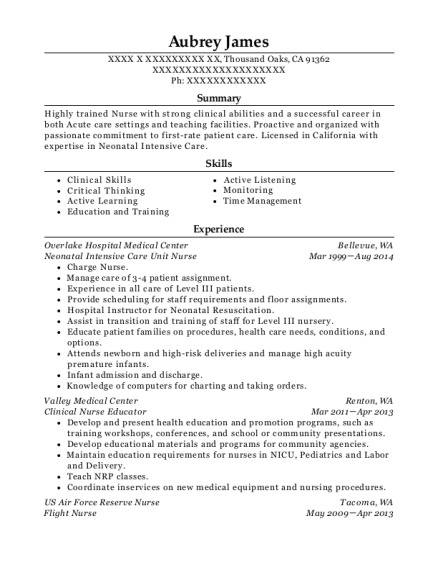 This is a resume for a Neonatal Intensive Care Unit Nurse in Thousand Oaks, California with experience working for such companies as Overlake Hospital Medical Center and Valley Medical Center. 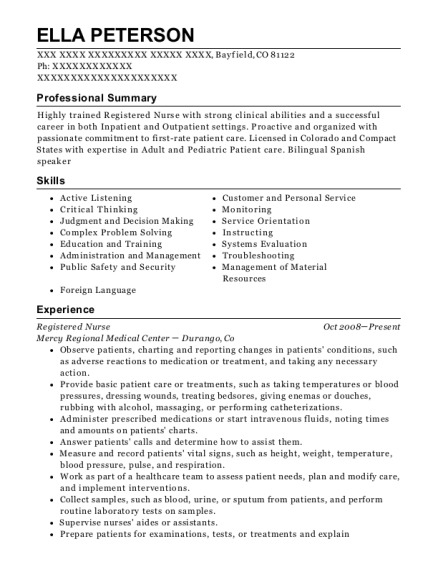 The grade for this resume is 0 and is one of hundreds of Neonatal Intensive Care Unit Nurse resumes available on our site for free. 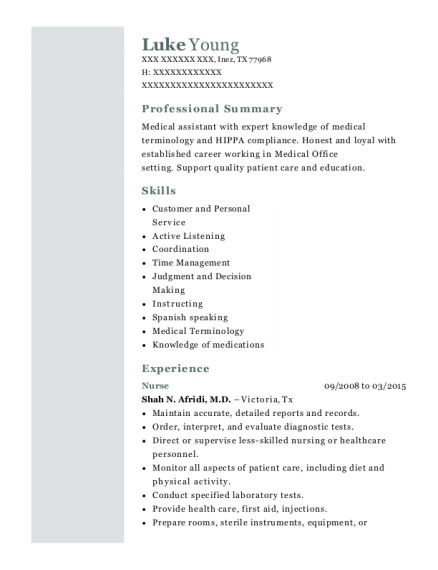 Use these resumes as templates to get help creating the best Neonatal Intensive Care Unit Nurse resume.